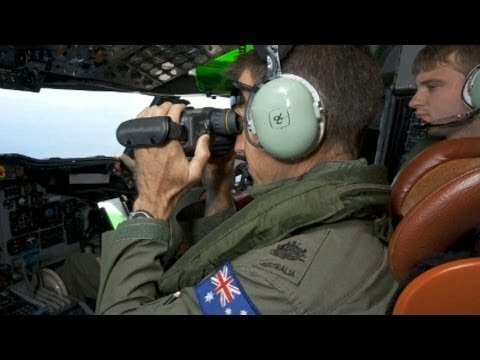 No debris of missing Malaysia Airlines jet have been found in the southern Indian Ocean as the second day of an international search ended. The operation is due to resume on Saturday with extra vessels joining the search, Australian officials say. Five aircraft took part in Friday’s search for flight MH370, which vanished on March 8 with 239 people on board. Satellite images have revealed objects possibly related to the plane in waters far south-west of Western Australia. Bad weather had initially hampered Thursday’s operation, but conditions improved on Friday. Experts have warned that the searchers face extremely treacherous seas and that a recovery operation would be very dangerous. Operations were halted on Friday at nightfall , the Australian Maritime Safety Authority (AMSA) confirmed. It added that an Australian navy ship, the HMAS Success, was on its way to the search area. In an earlier press conference, Malaysian authorities said the vessel was expected to “reach the vicinity of the objects tomorrow [Saturday]”. Other countries deploying additional assets included China, Japan and the United Kingdom, Malaysian Transport Minister Hishammuddin Hussein said. Hishammuddin Hussein added that a French delegation was also assisting “with their considerable experience and expertise”. The team “includes a man who led the investigation into the Air France (Flight) 447 crash”, he said. Australian PM Tony Abbott earlier described the search as “a gut-wrenching business for so many people, not least those who are charged with keeping their citizens safe”. “It’s about the most inaccessible spot that you can imagine on the face of the earth, but if there is anything down there, we will find it,” said Tony Abbott, who is currently visiting Papua New Guinea. But he also cautioned that the objects spotted by the satellites could be unrelated to the plane. Flight MH370 was flying from Kuala Lumpur to Beijing when it lost contact with air traffic controllers and disappeared from radar. Satellite data has led to a search in two corridors to the north and south of its last known location in the Malacca Straits – the opposite direction from its flight path. Malaysian officials say they believe the plane was intentionally diverted. Authorities in many countries have scrutinized the backgrounds of both passengers and crew on board but say they have no substantive leads. Other reports of debris to date have proved not to be linked to the missing plane. Four military planes, including three Orions belonging to the Royal Australian Air Force, were taking part in the search, AMSA said. A civilian Bombardier Global Express is also involved.